Milo - "Even If You Knew The Language"
Milo (no relation to the NYC funk band MiloZ) hail from North Carolina and play a moody style of indie guitar rock. They are a five piece band (3 guitars) and have toured from Washington DC to Atlanta playing the college bar circuit since 1998. The music is well produced and has a very nice production. The opening track, "Nothing Given", is a very good song, sort of a Pearl Jam meets Widespread Panic feel to it. I really enjoyed the guitars on this one. Quite an excellent song. The title track is probably the track that gets played on the radio, an indie rock ballad, better than most. "Low Flying Planes" is a melodic rock number. "Clockwork" finishes the 5 track EP. For this style of music, this is quite good and I will be surprised if we don't hear more about these guys in the future. 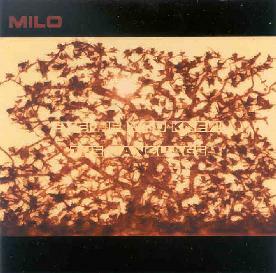 For more information you can visit the Milo web site at: http://www.miloband.com.